How can I disable code completion in comments? Thanks. The attached screenshot is a good demonstration of how annoying this is. I have to hit escape after each octothorp I type! 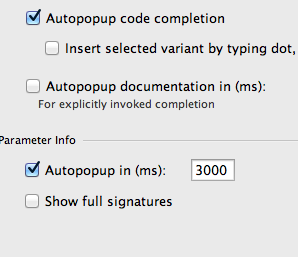 Also, I have "Autopopup in (ms)" set to "3000" and that setting is not respected. The popup happens immediately.